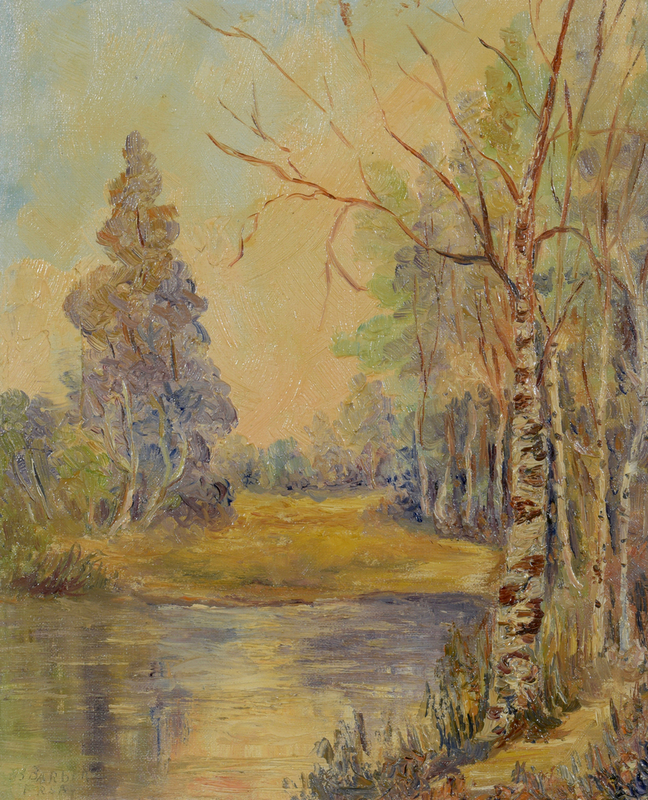 Lot 775: O/C landscape signed Barber R.S.A. 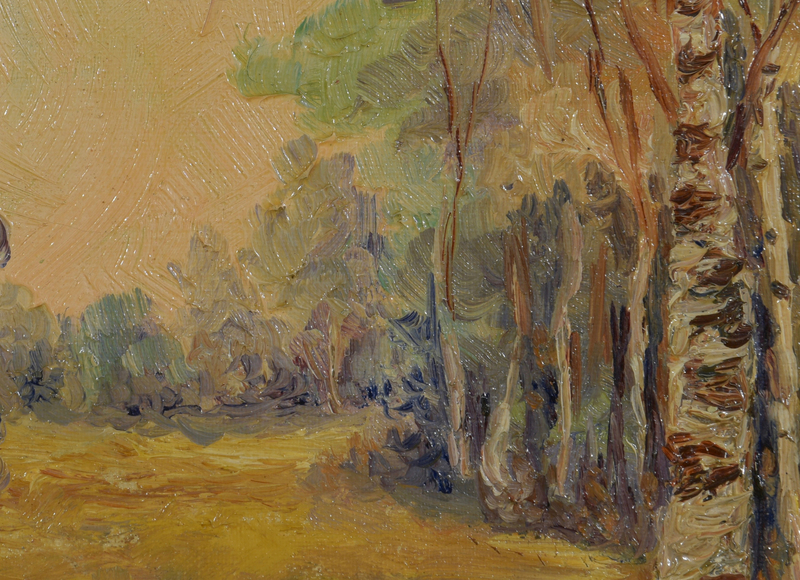 You are here: Home >> July 30, 2016 Historic Southern Summer Auction >> Lot 775: O/C landscape signed Barber R.S.A. 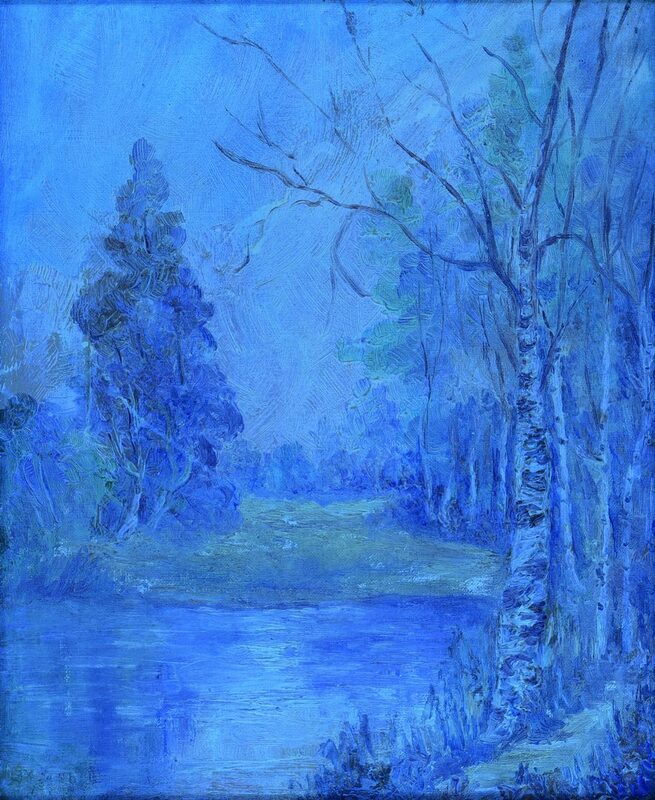 English School oil on board landscape depicting a woodland pond with white birch trees in the foreground. Signed _? Barber RSA lower left. Framing Label verso for “Reeve’s Dalston Canvas Board and Clay’s Blue Orchid, Regina Sask”. Housed in an antique giltwood molded frame. 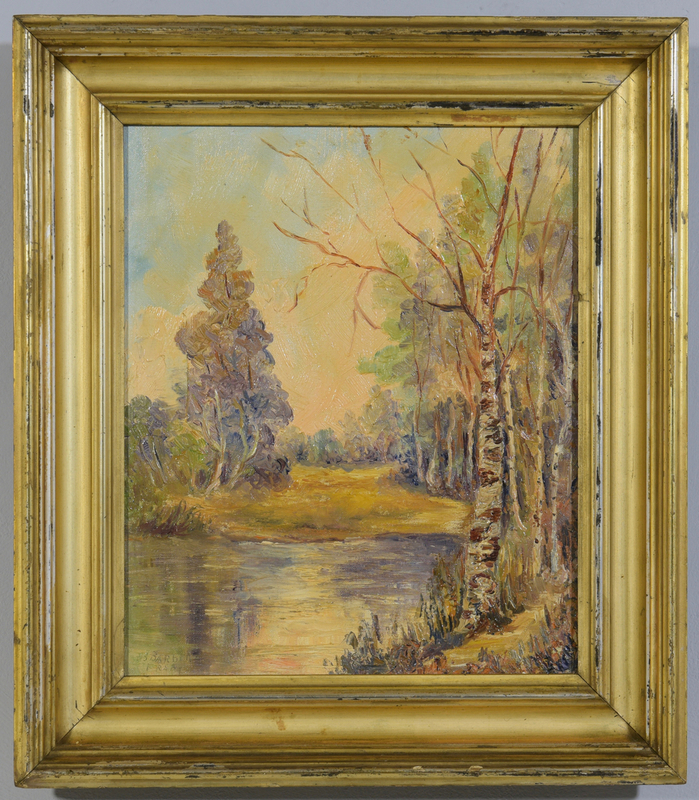 Sight – 11 1/2″ H x 9 1/2″ W. Framed – 16″ H x 14″ W. CONDITION: Light yellowing to varnish. Overall excellent condition. 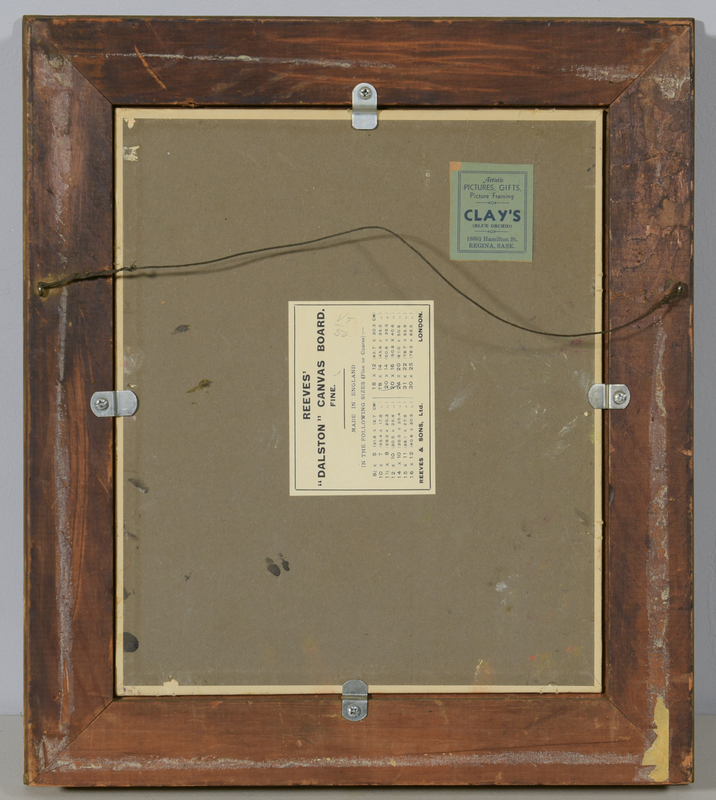 Antique frame has several abrasions.